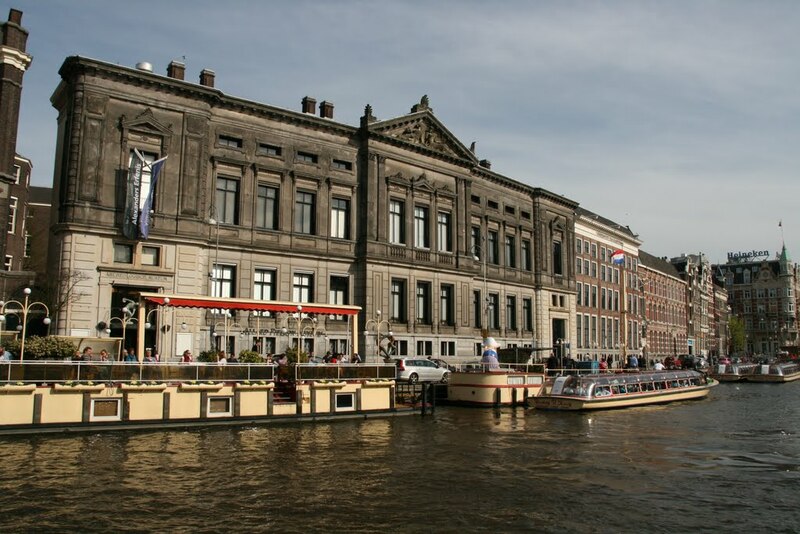 The name of the Allard Pierson Museum derives from the first professor of classical archaeology at the University of Amsterdam, Allard Pierson (1831–1896). This former clergyman was invited in 1877 to occupy the chair of Aesthetics, Art History, and Modern Languages at the newly founded university. His passion for antiquity, fuelled by his travels to the Mediterranean area, led to his assembling a collection of plaster casts from 1877 to 1895. The second professor of archeology at the University of Amsterdam, Jan Six, had a large personal collection of books and antique objects. At his death in 1926, the university had interest in acquiring his collection. In 1932, Pierson's son Jan Lodewijk established the Allard Pierson Foundation in order to make the antiquities collection available for research and teaching. 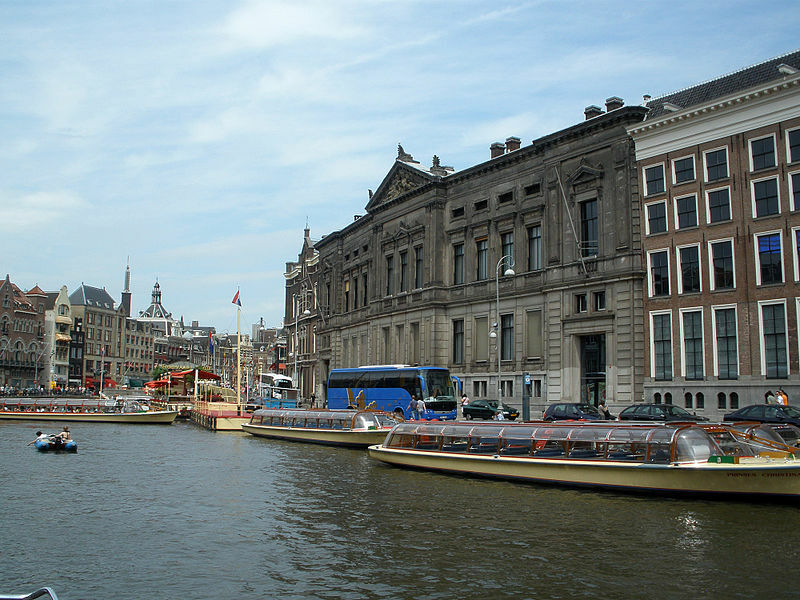 The collection was brought to a building on the Weesperzijde in Amsterdam, with the top floor serving as a museum. The collection grew due to purchases, gifts, and loans of artifacts and documents. On 12 November 1934, the Allard Pierson Museum was officially opened in a building at Sarphatistraat 129-131 (corner of the Roeterstraat). The museum eventually outgrew its building. A new building became available when the Nederlandse Bank vacated their office at the Oude Turfmarkt in 1976. H.R.H. Princess Beatrix attended the re-opening of the museum on 6 October 1976. The museum has collections related to the ancient civilizations of Egypt, the Near East, the Greek World, Etruria, and the Roman Empire. The collections include art objects and utensils dating from 4000 BC to 500 AD. There are also scale models of ancient temples and buildings. In the Ancient Egypt exhibition there is a room dedicated to death, with mummies, sarcophagi, and a film showing the process of mummification. The plaster-cast attic, to be visited only with a guided tour, shows copies of Roman and Greek statues. 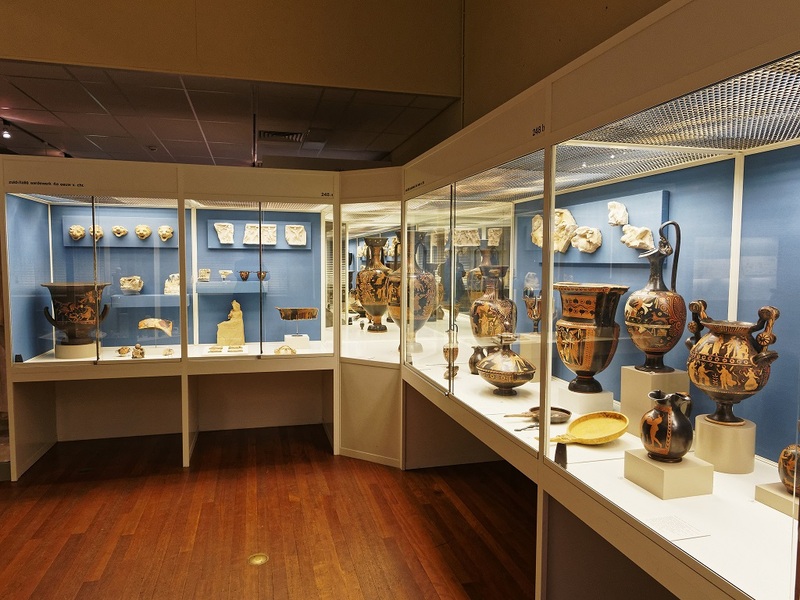 The museum's Greek pottery collection features examples of black-figure and red-figure pottery produced in the fifth and sixth centuries BC. A collection of Roman sarcophagi is also on display, including a rare wooden coffin from around 150 AD that is carved partly in the shape of the man within it.